This week did not start off well as I woke up to see that my fridge refuses to cool and while the technicians come in I decided to make the best of the ingredients that’ll rot in no time. Looked into my fridge and found a pack of paneer, some coriander leaves, few sprigs of curry leaves, butter, few tomatoes, milk, cheese, some grated coconut and ginger garlic paste. I managed to use most of them and the rest I put away in my friendly neighbour’s fridge. ‘Paneer Chettinad’, sounds weird. (I know) But I tried this crazy combination and I must say, it tasted quite good. 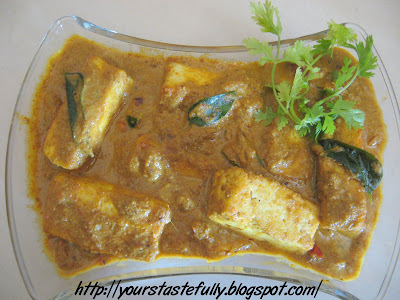 It is paneer (which I always thought is not so southy) in a completely South Indian gravy. ground cloves and cinnamon...wow..another 'must try it" one. Hi Rashmi, thank you for visiting my blog.Glad to hear you liked it. Do try my recipes and post your comments.Sorry, which Preeti are you referring to? 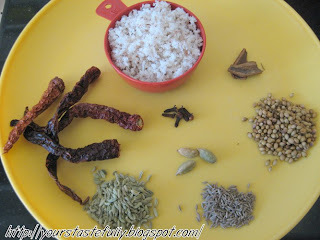 let me first complain her and then i will tell u which preeti ..
@Rashmi: when i saw your blog I got a hold of who you are. nice blog by the way. Preethi's(who used to stay in my apartment)friend right? Bini, tried this yesterday and it came out good. Thanks for the recipe. Have to.... have 3 boys to feed:) just kidding! I love Cooking. I keep trying variations in every recipe I prepare. @Suma: thank you so much for the feedback! thank you so much for those encouraging words...I'm glad Varun liked it too...thanks again! FNU in google account. i do not know why. Ammu, sorry for the late response. 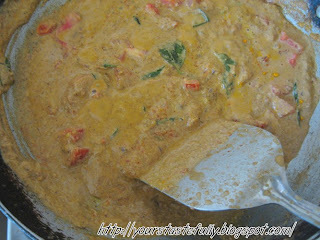 Dinner you try this dish? liked it? 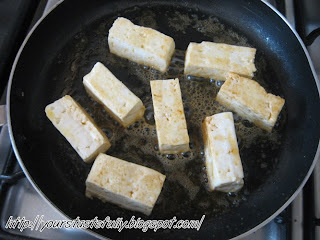 Tried this recipe by substituting tofu for paneer. Still came out very tasty. Thanks for sharing this yummy recipe!